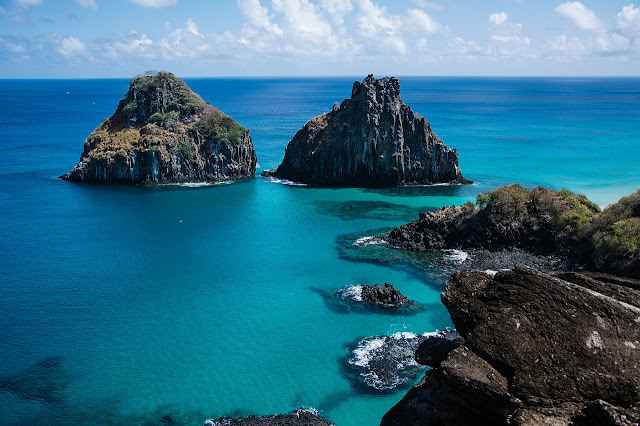 Fernando de Noronha is, strictly speaking, an archipelago made up of one 11-square-mile chunk of volcanic rock and 20 smaller islands, three degrees south of the equator, 354 km (220 mi) offshore from the Brazilian north-eastern coast, in the Atlantic Ocean. 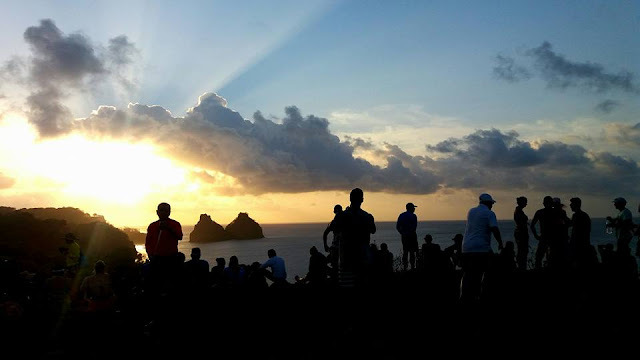 Noronha's natural beauty holds its own against any tropical locale in the world. 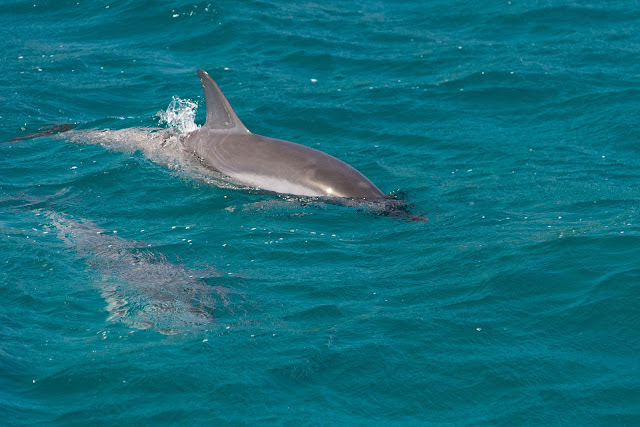 With crystal-clear waters, rich marine life – including the highest known concentration of resident dolphins in the world – and spectacular tropical landscapes, it’s in a Brazilian class all of its own. 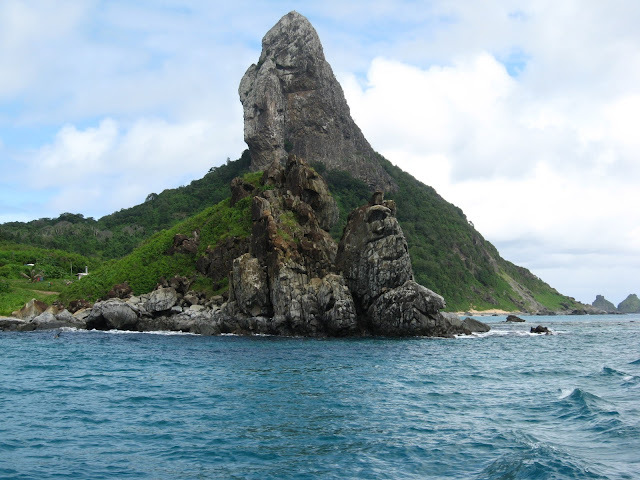 Sighted for the first time between 1500 and 1502, it has its discovery attributed to an expedition commanded by the Portuguese merchant Fernão de Loronha (then that's the reason of the archipelago's name), although there are controversies; but it is certain that the first to describe it was Americo Vespucci, in an expedition carried out between 1503 and 1504. 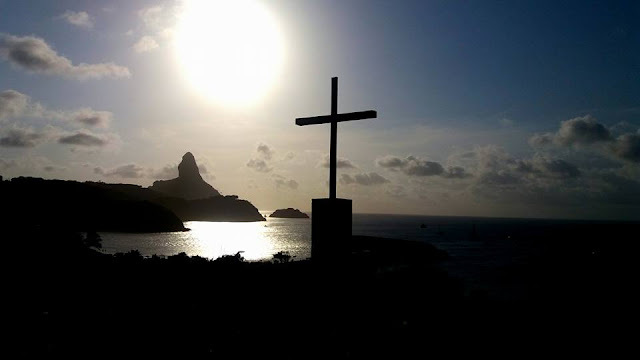 Administratively, the islands are a unique case in Brazil of a special "state district" that is not part of any municipality and is administered directly by the government of the state of Pernambuco(despite being closer to the state of Rio Grande do Norte). 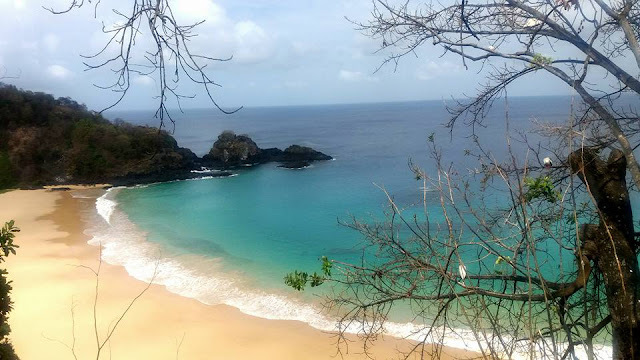 In 2001 UNESCO designated it as a World Heritage Site because of the importance of its environment. Its time zone is UTC−02:00 all year round. 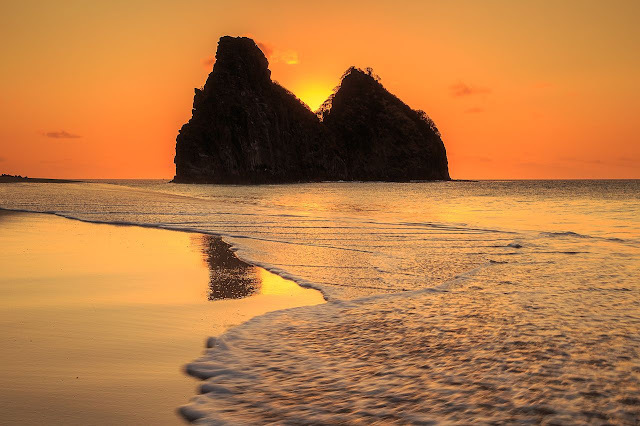 The local population and travelers can get to Noronha by plane from Recife or Natal. 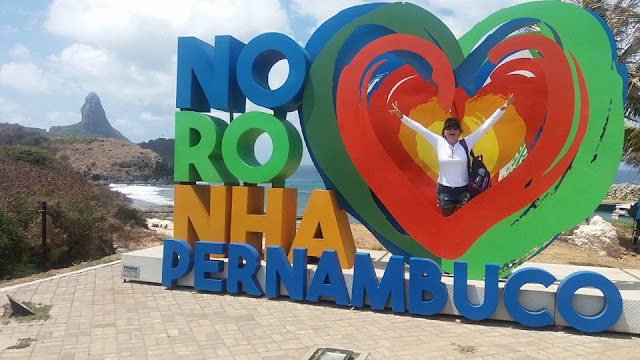 An "environmental preservation" daily fee is charged from tourists upon arrival by Pernambuco State administration, while another fee is paid once to have access to the National Park attractions. (wikipedia). 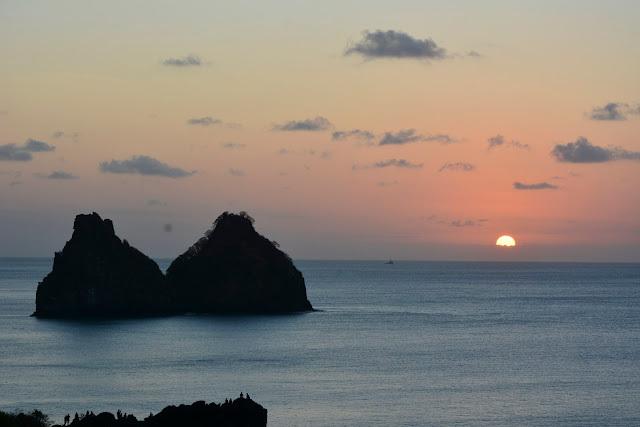 Give yourself plenty of time because Noronha is addictive. 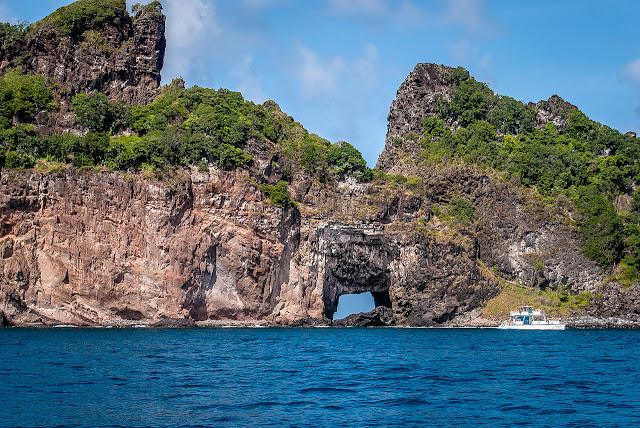 It’s a wonderful place for doing things both on water (diving, surfing and snorkeling) and on land (hiking and touring), and the average stay is four or five nights. 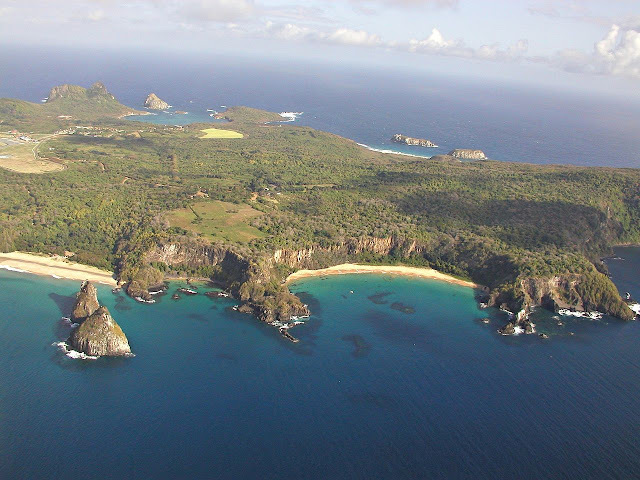 Thanks in large part to the Parque Nacional Marinho de Fernando de Noronha and conservation projects based here, the marine and coastal environment is tightly regulated: locals joke that it’s the island of ‘No’ – no, you can’t do this; no, you can’t do that, etc. 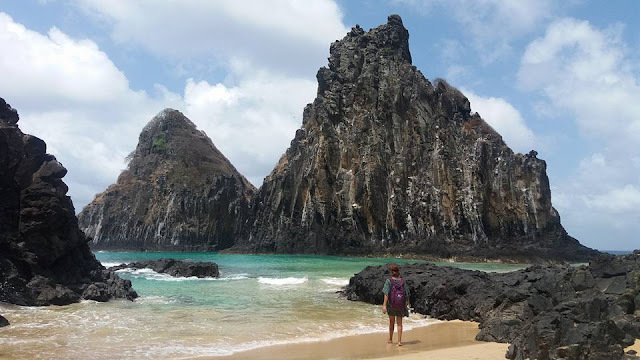 With only between 270 and 400 plane seats normally available per day to Noronha, tourism doesn't overwhelm the islands, and it’s rarely a problem to find an isolated patch of sand on a dreamy beach, even in high season. 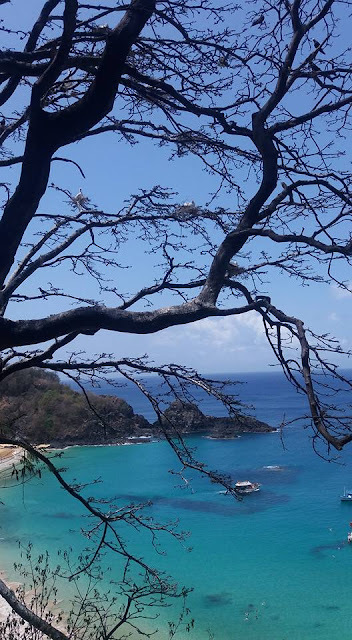 However, it’s advisable to reserve accommodations and flights well ahead for December, January, February, July and August. The week or so either side of New Year can get booked up six months or more in advance. 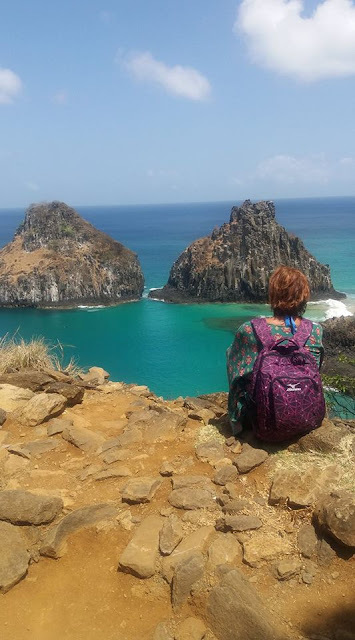 The spectacular extinct volcanic cone Morro do Pico is the highest point, 323m above sea level – and more than 4300m above the ocean floor. No, you cannot climb it.